The UK post company says future profit will be hit by its obligation to sustain a pan-national service. There’s a reasonable case for the regulatory change Royal Mail wants. Without reform, the group will struggle to deliver on hopes that have buoyed the post-float share price. 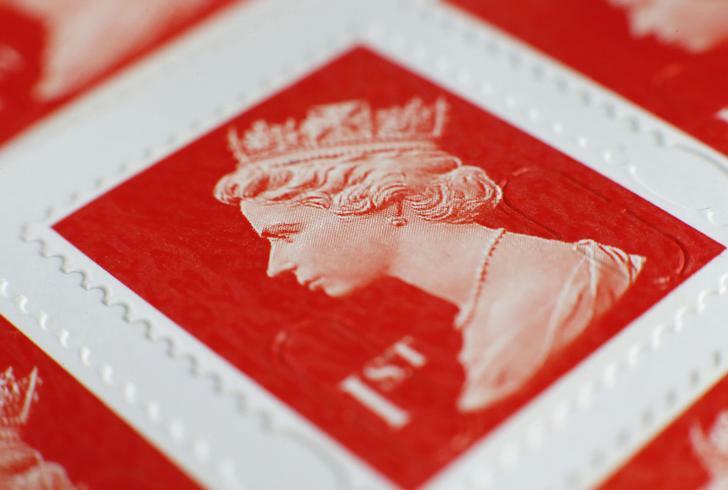 A book of first class postage stamps are seen in detail in Manchester, northern England, September 12, 2013. Shares in Royal Mail fell 7 percent on May 22 as the recently-privatised British postal company said it will struggle to meet future profit margin targets. It is concerned that newly emerging competitors in door-to-door delivery, such as Dutch group TNT Post, have an unfair advantage because they are not obliged to provide the so-called ‘universal’ service. Greene outlined the concerns as the company reported a 12 percent increase in underlying operating profit and a 2 percent rise in overall revenue in the year to March 30. Royal Mail shares fell 38.5 pence to 537 pence by 1007 BST. They were controversially priced at 330 pence in an IPO last October.